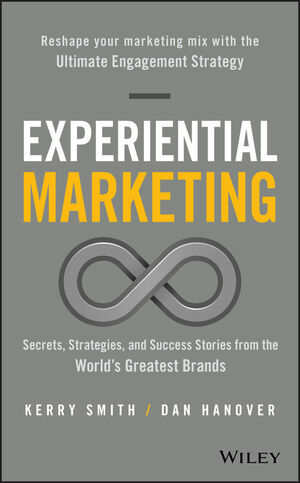 The most researched, documented, and comprehensive manifesto on experiential marketing. As customers take control over what, when, why, and how they buy products and services, brands face the complete breakdown and utter failure of passive marketing strategies designed more than a half-century ago. To connect with a new generation of customers, companies must embrace and deploy a new marketing mix, powered by a more effective discipline: experiences. Experiential marketing, the use of live, face-to-face engagements to connect with audiences, create relationships and drive brand affinity, has become the fastest-growing form of marketing in the world as the very companies that built their brands on the old Madison Avenue approach—including Coca-Cola, Nike, Microsoft, American Express and others—open the next chapter of marketing. . . as experiential brands. Using hundreds of case studies, exclusive research, and interviews with more than 150 global brands spanning a decade, global experiential marketing experts Kerry Smith and Dan Hanover present the most in-depth book ever written on how companies are using experiences as the anchor of reinvented marketing mixes. Marketers still torn between outdated marketing models and the need to reinvent how they market in today’s customer-controlled economy will find the clarity they need to refine their marketing strategies, get a roadmap for putting their brands on a winning path, and walk away inspired to transition into experiential brands. In 2002, Kerry Smith (right) and Dan Hanover launched what would become the largest network of experiential marketing content in the worlda portfolio that includes Event Marketer Magazine, the Experiential Marketing Summit, the Ex Awards, and the Event Marketing Institute. They are considered the world's foremost experts on experiential marketingwhere it came from, how it's grown, why companies are using it and, what the future of marketing looks like. They have trained marketing teams at such companies as Procter & Gamble, Oracle, Mercedes, Cisco, Intel, IBM, Microsoft, Pepsi, Anheuser-Busch, Best Buy, Toyota, R.J. Reynolds, and many others. KERRY SMITH learned about the evolution of marketing from the inside out, first as an advertising agency executive in New York City and then as a media entrepreneur who launched three marketing magazines and eight marketing conferences over three decades. DAN HANOVER has led editorial teams at some of the most respected media companies in the world and is considered a trusted resource across the advertising industry, promotion category, retail sector, licensing arena, entertainment category, and experiential marketing industry.